My wife and I were expecting our second child — I couldn’t close up shop now. Inspired, I got to work putting together a new menu that would breathe new life into my restaurant. If raw fish is no good, how about tempura instead? Teriyaki sauce to add a burst of flavor. If nori is no good, what if I wrap the sushi inside out so the rice is on the outside? And that’s how the Triple T Roll was born. “Triple T” as in “T” for tempura, “T” for teriyaki, and “T” for Tomio, my name. The Triple T Roll — inside-out teriyaki-flavored shrimp tempura sushi — became a Little Tokyo specialty in no time. Word got out and customers were coming from all over the United States and even overseas. Many variations on the Triple T Roll were born, such as the California Roll with avocado and imitation crab, the Philadelphia Roll with smoked salmon and cream cheese, and the Rainbow Roll with its colorful ingredients wrapped on the outside. Roll sushi became the epitome of sushi culture, and spread like wildfire. The God of Sushi Mats pulled out a huge sushi mat from his inside pocket, rolled it inside out, and put it back in his inside pocket. Then, nodding with a smile, he disappeared into the darkness. I looked at the clock. It was a little past 3 p.m. It seems that I fell asleep on the chair in the kitchen. My wife Reiko, who waitressed, and the prep cook Jose appeared to be on break, and no one was in the restaurant. I looked over at the glass case on the counter where the sushi ingredients are kept. The colors were different than usual. I checked the glass case where we kept the vegetables, and the avocados….were there. But there were only two, much less than what we usually stocked. Bulk-sized teriyaki sauce and piles of nori cans were nowhere to be seen. I looked at the glass case again, and found snapper, halibut, horse mackerel and even rosy sea bass. What an authentic lineup of ingredients! The God of Sushi Mats made my wish come true. With two hours left until opening time, I decided to go for a quick walk. I went outside feeling great. From Honda Plaza I went west on Second Street and north on Central Avenue to First Street, the face of Little Tokyo. I love the nostalgic feeling of the historic buildings. The lunch rush was over, but there were still a few people waiting outside the ramen shop Daikokuya. Its reigning popularity is impressive, given the competition due to L.A.’s rising ramen culture in the past few years. The sushi restaurants on First Street were nowhere to be found. 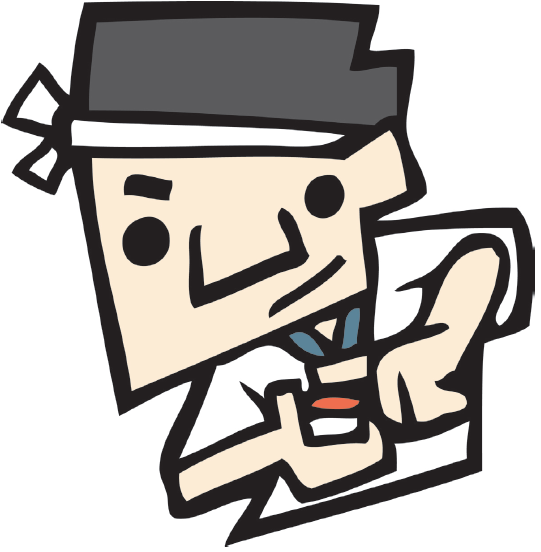 Toshi Sushi, Enya, Oomasa…they’ve all been replaced by ramen shops! Was sushi destroyed by ramen because I didn’t invent the “T” Roll? I shuddered. I walked west on First Street, glancing at the stores left and right. A bar, nightclub, bail bonds, adult goods store…quite colorful and far from wholesome. I felt a slight dizziness and ran into the Little Tokyo Koban and Visitor’s Center. No way! My eyes widened, and I ran out of the Koban. The bustling Japanese Village Plaza was sold to an American corporation? Bunkado on First Street is still there, and Koyasan Buddhist Temple as well. The red yagura tower that serves as a landmark is still there! My feet dragged as I headed back to my restaurant. Second Street is lined with retail fashion stores, and Hama Sushi and Komasa are gone. Even though they were my competition, I felt a sense of loneliness now that they were gone. Even the popular Kula revolving sushi bar was now “Shanghai Revolution” revolving dim sum! Ex-wife…did she take the kids and leave because my restaurant was failing since I didn’t invent the Triple T Roll? That can’t be — Reiko wouldn’t leave me because I failed once or twice. I’m so confused my head is about to explode. Could one detail change my life so drastically? There’s no point in making authentic sushi if my wife and kids aren’t here! God of Sushi Mats, please!! Change my world back to how it was!!! I looked at the clock, and it was now 10 minutes before 5 p,m. It seems I had a nightmare. “Dad, are you okay? You sounded like you were having a nightmare,” Hiroshi the worrier asked. Takashi laughed, his eyes smiling just like when he was one year old. I looked at the clock, and it was 9 p.m. A customer I hadn’t seen around sat at the counter close to closing. An elderly man with a white mustache…just like the God of Sushi Mats from my dream. Bring it on. The perfect ending to the 55 years of rolling sushi in Little Tokyo — the Triple T Roll that changed the world! 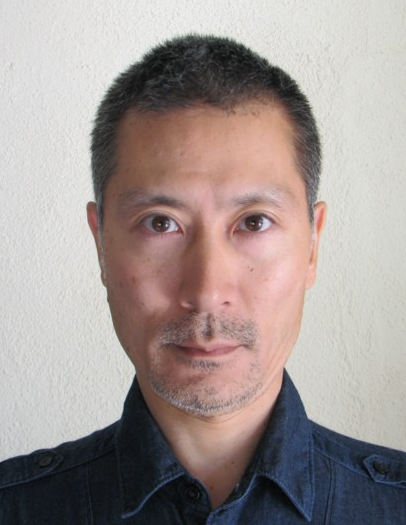 Born in Nagoya in 1965, Masafumi Mori graduated from Osaka University (B.A. ), moved to the U.S. in 2002, and is now living in Los Angeles. He has been subtitling for movies, documentaries and dramas since 2009 and authored a non-fiction book, “Crazy Stupid Hollywood (Sho-Pro),” in 2012. 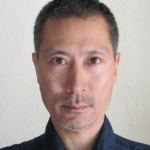 He is currently working as a specialist of Japanese localization QC for various entertainment contents. “The God of Sushi Mats” is his first published fiction.